Autostrada del Sole (A1): exit for Orte, then take highway (S204) for Viterbo. From the North Coast: SS. 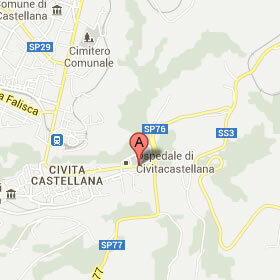 1 Aurelia to Montalto di Castro, then follow the road signs for Tuscania, and then Viterbo. From Rome (Ostiense Station) direct to Viterbo. From North and South: Orte station, change to the local line for Viterbo. Leonardo da Vinci Airport in Rome.